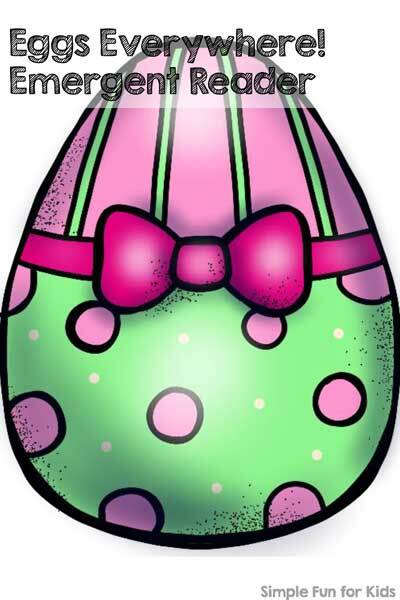 Today, I’m sharing one with an Easter theme: Eggs Everywhere! Emergent Reader. The printable has two pages. After you download the file, print out both pages front and back on one piece of paper. Cut in half along the black line on one side. You can use a paper trimmer or simply scissors. There’s one sentence about Easter eggs on each page of the booklet. The images support the sentences and help young readers to work out what they’re reading. The sentences use mostly pre-primer sight words and color words with a couple of primer sight words and other simple words thrown in. There’s a word list included in the printable. 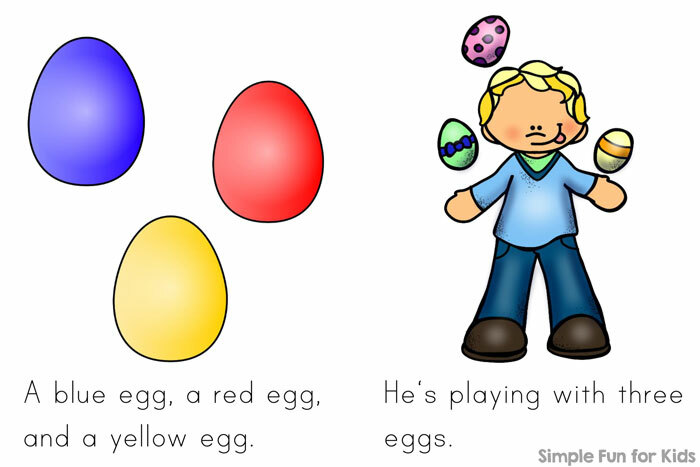 Images used are green egg, blue egg, yellow egg, red egg, orange and yellow egg, pink and magenta egg, red and orange dotted egg, boy holding up a large Easter egg, and boy playing with Easter eggs. Download your Eggs Everywhere! Emergent Reader! Looking for More Emergent Readers? Check out These! What a fun activity! Awesome!